Darren Criss is an American actor, singer, and songwriter. He is known for starring on the television show Glee. Darren is the son of Cerina and Charles Criss, who started EastWest Bank, serving as its Chairman and CEO. His brother is musician Chuck Criss, of the band Freelance Whales. Darren is married to Mia Swier. Darren’s father is American-born, and is of English, German, Northern Irish, and remote Scottish, ancestry. 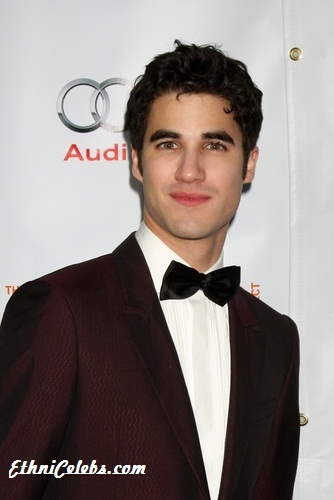 Darren’s mother is Filipino-born, and has Filipino, Spanish, and Chinese ancestry. In an interview on Philstar, Darren stated that he knows basic Visayan rather than Tagalog. 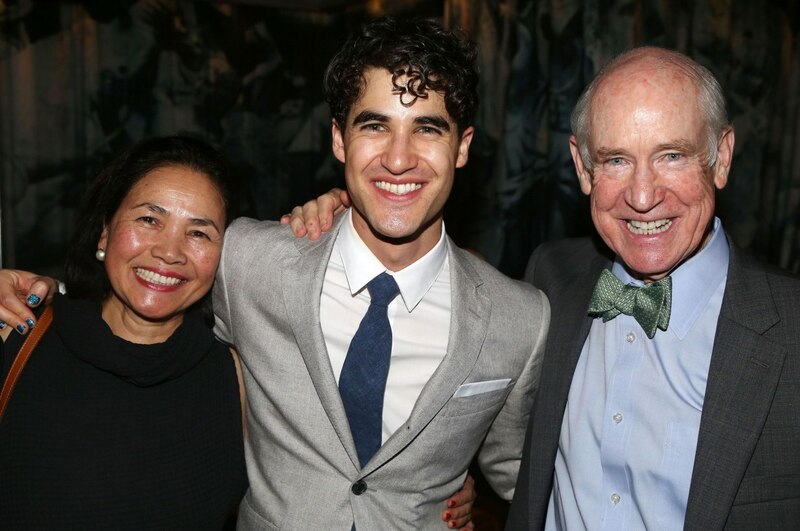 A picture of Darren with his parents can be seen here. Darren’s patrilineal ancestry can be traced back to Johanne Jorge Nicholas Crist (born, c. 1690, in Germany) and Anna Elizabeth Mueller (born, c. 1695, in Germany). Darren’s paternal grandfather was Charles William Criss (the son of William Ramsey Criss and Olive May White). Charles was born in Pennsylvania. William was the son of Jacob Pitser Criss and Margurete Duran Brown, whose parents were born in Ireland. Olive was the daughter of James Francis White and Nancy Rosetta Cochran. Darren’s paternal grandmother was Charlotte Elizabeth Bartlett (the daughter of Everett Burl Bartlett and Edna M. Hughes). Charlotte was born in Pennsylvania. Everett was the son of Arthur Emory Bartlett and Mary Elizabeth Wilson. He doesn’t look that white to me. Without makeup I’ve seen pics in more natural lighting where he looks darker and his hairs actually curly. In those pics he looks like he could be Jason Mamoas child lol.